You’ve made the commitment, completed the design and put down your deposit. Your new deck is on the way. Much of the project is now out of your hands. There are, however, some things you can do to prepare for your upcoming build. Life happens and even while your deck is in construction, life must go on. Knowing when construction will begin and how long it will take to build will allow you to work around the project. There will be considerable mess and disruption to your outdoor space at the time of your build. Now is not the time to host a barbeque. If you are having a couple of carpenters in your backyard for any length of time, having a clean and organized workspace will only benefit your build. Your deck builder will be better able to work in your backyard if clutter is kept to a minimum. This includes cleaning up after your dog. If your builder has to constantly be watching his/her step, productivity is bound to be negatively affected. Ensure that access to the job site is easy. There will be lots of movement going on during your build. Loads of materials will likely be passing through your yard. Create and maintain entrance to the construction site throughout the duration of your build. 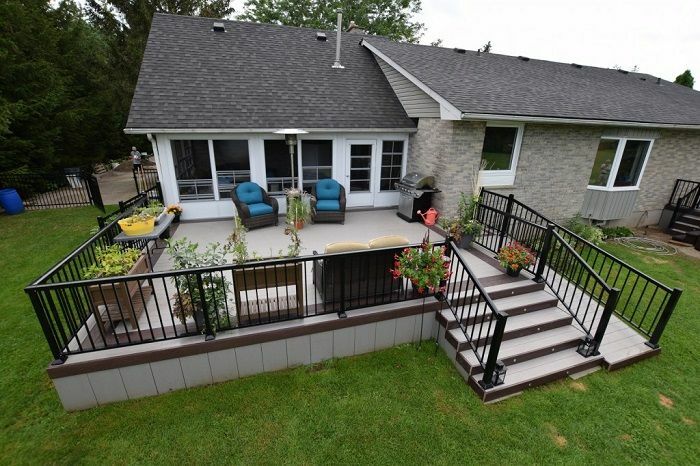 Your budget was set, you laid down a deposit for the deck of your dreams. Now is the time to make sure paying for the remainder of your deck won’t be a problem. Many will not be paying cash for a new deck. Whether it will be your bank account or your credit card that takes that hit, ensure you will be able to finish paying for your project. Construction will likely be interrupted if payments become a challenge. Nobody wants half a deck. If you plan ahead and prepare ahead of time, you will aid your carpenter in making the construction of your new deck a complete success. Being prepared will also make you feel as though you are part of this success.